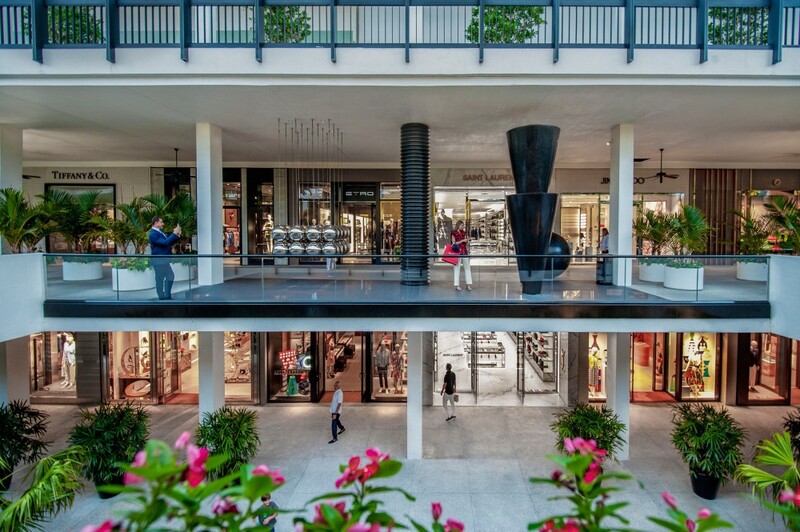 When you walk into Stanley Whitman’s Bal Harbour Shops, you see haute couture fashion houses lined by subtropical décor, golden colored fish ponds, and an evolving hospitality scene that’s not only thriving but gastronomically alluring. 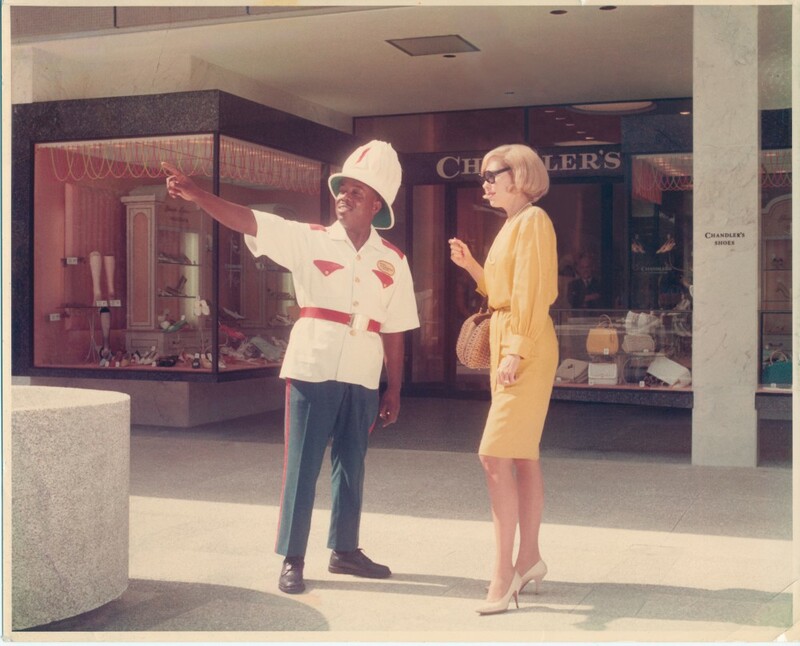 But to Matthew Whitman Lazenby, all that comes to mind when strolling through this citadel of luxury is his grandfather’s 1965 vision to develop something “remarkable out of nothing,” a new modern shopping mecca that could seduce sophisticated New Yorkers and South Americans to peruse shops in between ocean plunges and cabana parties. 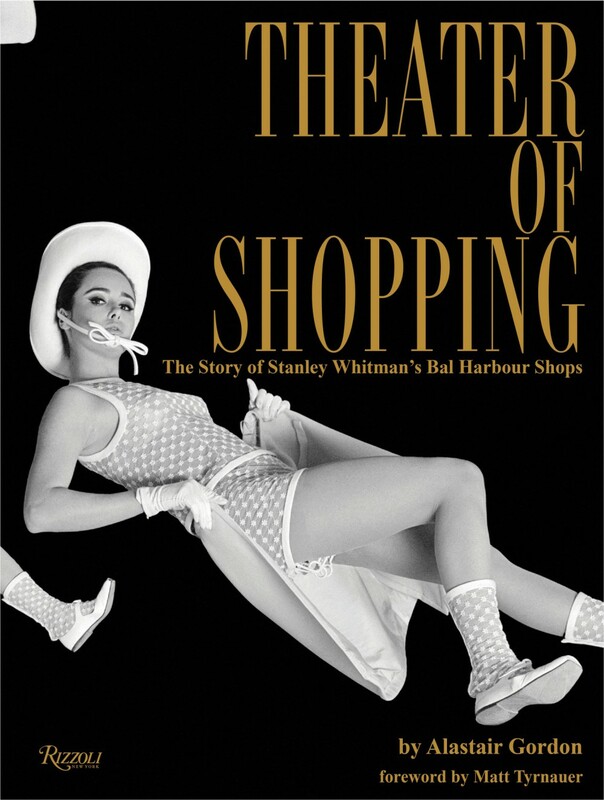 Titled Theater of Shopping: The Story of Stanley Whitman’s Bal Harbour Shops, written by acclaimed author Alastair Gordon, this part industry trade manual and part family memoir is a compelling narrative about a man who led with his heart to build the country’s largest luxury focused shopping center in an initially uninhabited area. The chronicle begins with anecdotes from Whitman’s quest, garnering a team of industry experts who could build an outdoor retail mall without a traditional formula or theory. 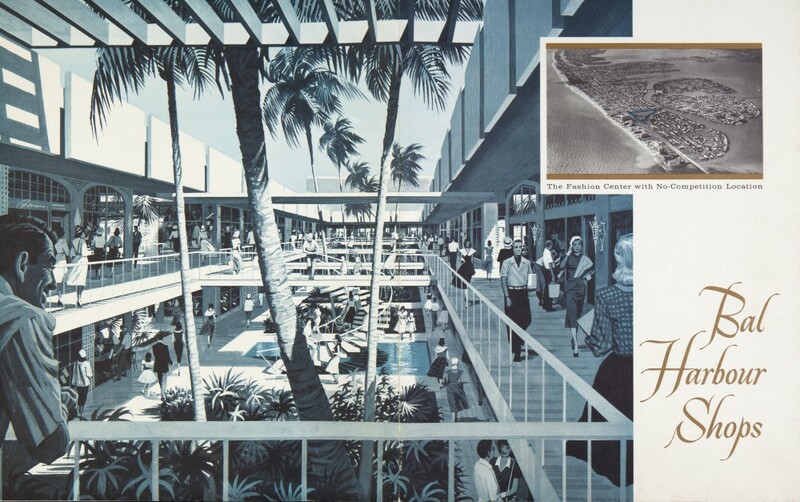 And according to Lazenby, if you look at correspondents who wrote to him from around the world at that time, including architects and investors, they all thought he was breaking the rules of mall building. The only two people who did believe in him were his mother and wife. The expansion is scheduled to finish in six to eight years, with new department stores like Barneys New York opening their doors as a major anchor store, complemented by an increased percentage of restaurants including Freds. But for right now, Lazenby is focusing on celebrating his grandfather through this newly released book, which he couldn’t have put together without the help of Alastair Gordon and Barbara de Vries, who wrote and curated its aesthetics, restoring and digitizing hundreds of photographs, including favorites such as Stanley Whitman sitting in the backseat of a 1960s car documenting the formula of a shopping center, which he referred to as Economics 101. “They honored my perspective of his perspective, and they did it gracefully,” said Lazenby.